CAT DI & LR Syllabus: CAT Data Interpretation and Logical Reasoning is one of the most important and scoring section in CAT examination. in this section there are 24 MCQs questions. There is no prescribed syllabus defined for the CAT Exam. 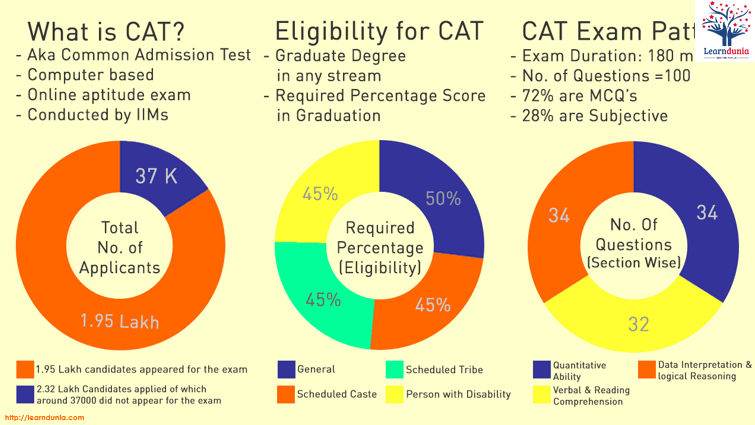 The exam have four main section from which the questions are taken in CAT Exam i.e data interpretation, verbal ability, logical reasoning, quantitative aptitude. Common admission test(CAT) is top level management entrance exam across India. It is conducted by the IIMs in the rotational basis. This year IIM Delhi will conduct it. The candidates scores will be analysed in the performance of quantitative aptitude, data interpretation, verbal ability and logical reasoning. CAT DI & LR Syllabus is one of the student lover and scoring Section in CAT Examination. CAT 2018-19 Application form has been released, Click Here to Check.